Vitamins in all forms have been known to be beneficial for both children adults. We may not always eat nutritionally balanced diets, therefore, supplements can prevent vitamin deficiencies and diseases associated with them. For instance, in children vitamin D deficiency is associated with obesity and endothelial problems. So the next best step is to give obese patients vitamin D supplements. Wrong! Dr. Seema Kumar, a pediatric endocrinologist studied the effects of vitamin D pills to teens with obesity. Dr. Kumar conducted a 10-year study on the effects of vitamin D supplements to obese teens. In a decade of research, Dr. Kumar conducted four clinical trials and published six studies. The latest study focuses on the effect of Vitamin D3 on endothelial function in obese adolescents. It was first published online in the Pediatric Obesity Journal on August 14, 2015. Obese teens were given vitamin D3 in normal ranges for a period of three months. Results showed that vitamin D did not have any effect on the body mass index, body weight, waistline, blood flow and blood pressure. Furthermore, the study showed that it does little to prevent the obese teens’ risks for diabetes and heart problems. The most significant result of the study though is the reported increase in triglycerides and cholesterol levels in obese teens. 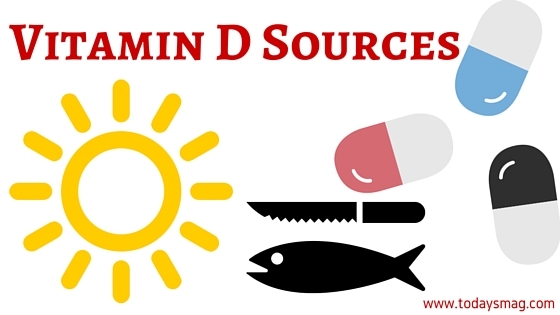 Due to this newly uncovered information coupled with the fact that vitamin D does little improvement to body weight, Dr. Kumar cautions parents against giving their children vitamin D supplements at a higher dosage. The recent study was conducted for three continuous months only. The participants were limited as well to a small number of children. For this reason, Dr. Kumar wanted a long-term study, which is bigger and placebo-controlled so the benefits of vitamin D will be examined better. It came as a surprise for Dr. Kumar to find that vitamin D supplements actually have no effect in obese teens. Most parents provide vitamin D supplements even to the point of giving more than the recommended daily intake to their obese children believing that they can help improve cardiovascular function. With this evidence, parents are now warned against giving vitamin D supplements. Always make sure to take vitamins within the recommended dosage only.